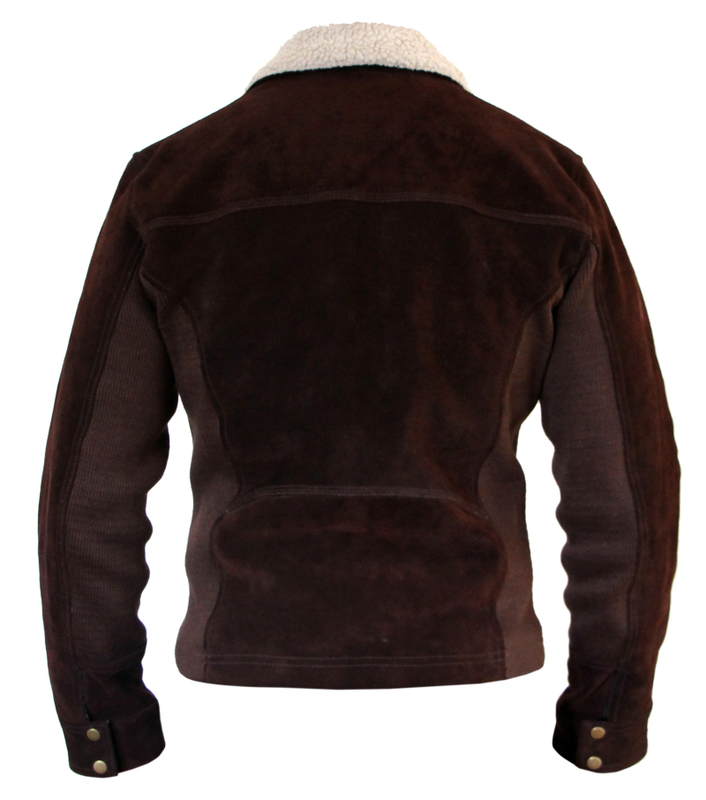 This dark brown suede leather jacket features contrasting ribbing along the sides and back of the arms. 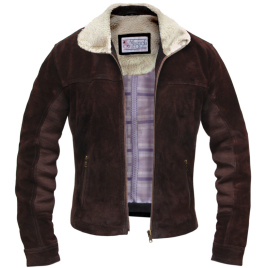 The faux shearling collar can be worn folded or standing up. 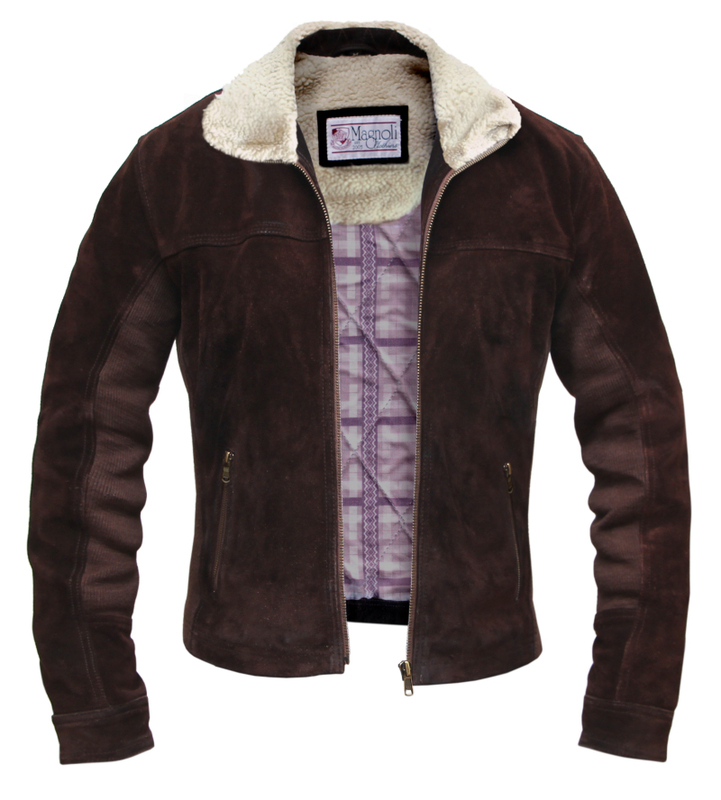 Includes two zippered hand warmer pockets and an internal snapped pocket. Fully lined in a custom printed cotton. Fully made to measure for the best fit. recieved my rick jacket and its perfect i asked Indy to alter the collar to make it look like the one on the show from the earlier seasons and it looks great an awesome jacket thanks!